The latest trailer for director Bryan Singer's (X-Men, X2) follow-up to X-Men: Days of Future Past has arrived and while I am sure the final product will be an interesting addition to the X-Men canon I can't help but feel the director is leaning on visual effects more than ever. The optimist in me says Singer has done this enough times before and in good enough fashion to trust his directorial hand, but there is also a lot of effects driven work here that looks as if it could have come from any summer blockbuster. That aside, I'm really happy to see Singer back at the helm of yet another mutant movie and that he seems to finally be embracing the origins of this material more. There also looks to be a lot of overt fan service in this new, extended look and it has felt more lately (Deadpool) that the more fan service one is able to pull off while not trying to be overly discrete about it seems to make the experience that much more enjoyable. 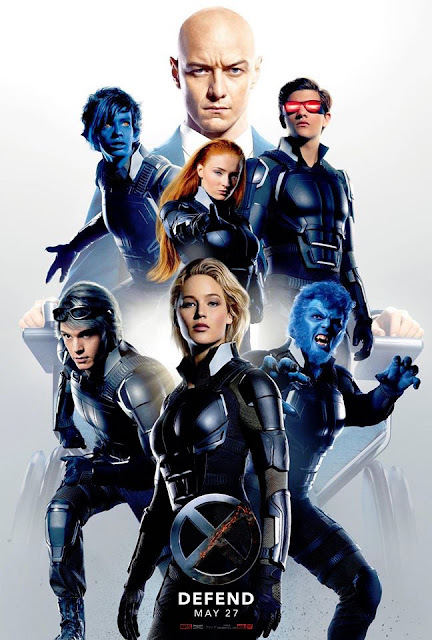 In the case of Apocalypse, Singer and writer Simon Kinberg have set the film during the 1980's and with the inclusion of a young Jubilee (Lana Condor), Scott Summers (Tye Sheridan) and Jean Grey (Sophie Turner) Singer seems to want to really take advantage of the new timeline he gave himself in Days of Future Past. Oscar Isaac's titular antagonist (while still looking like Ivan Ooze) does seem to be rather intimidating and the mythology to go along with him is undoubtedly intriguing. Having Rose Byrne return to convey this exposition isn't a bad touch either. James McAvoy, Michael Fassbender, Jennifer Lawrence, Nicholas Hoult, Lucas Till, and Evan Peters all return while other new cast members include Olivia Munn, Alexandra Shipp, and Ben Hardy. X-Men: Apocalypse opens May 27, 2016. 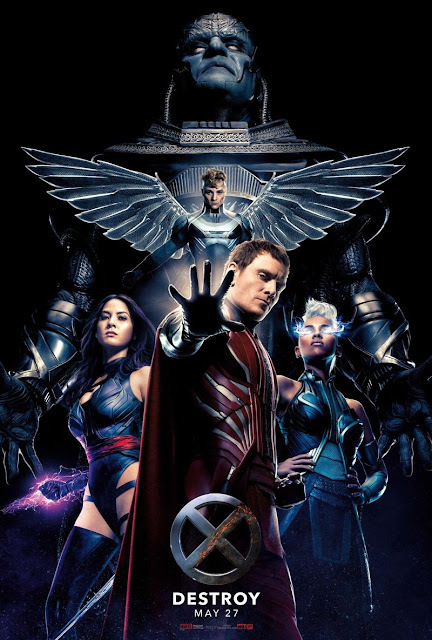 Synopsis: Following the critically acclaimed global smash hit X-Men: Days of Future Past, director Bryan Singer returns with X-MEN: APOCALYPSE. Since the dawn of civilization, he was worshipped as a god. Apocalypse, the first and most powerful mutant from Marvel’s X-Men universe, amassed the powers of many other mutants, becoming immortal and invincible. Upon awakening after thousands of years, he is disillusioned with the world as he finds it and recruits a team of powerful mutants, including a disheartened Magneto (Michael Fassbender), to cleanse mankind and create a new world order, over which he will reign. As the fate of the Earth hangs in the balance, Raven (Jennifer Lawrence) with the help of Professor X (James McAvoy) must lead a team of young X-Men to stop their greatest nemesis and save mankind from complete destruction.